Tyler Kinley is captain of Seattle Sockeye, where he is primarily a defensive handler. Known for guarding top handlers and distributing the disc after the turn, Tyler also leads Sockeye's workouts. Tyler has played Ultimate for Tulane University, University of Michigan, BAT, and currently plays for Sockeye. He has experience coaching and teaching ultimate on youth, college and club levels on multiple continents. What's more important than having an opinion? Knowing all the facts. If you've got more questions than you do answers, you and Tyler have something in common. 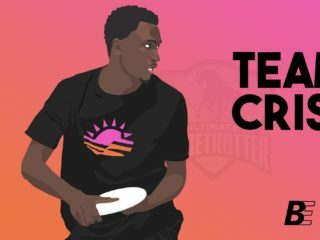 Tyler takes a look at the MLU's criticism of USA Ultimate, pointing out key public information and explaining why Olympic Committee recognition is important for growing ultimate. At first, Tyler Kinley was inclined to knock the pro leagues' hustle. But in the first installment of Short & Sweet, his new blog, the Seattle ultimate maven is feelin' it. Tyler Kinley wants to get you into the gym and start pumping iron like a champion. Learn where to start and why the gym will make you a better Ultimate player in his guide for weight room virgins. Seattle Sockeye’s Tyler Kinley highlights critical patterns of the game and examines the experiential understanding needed to excel. 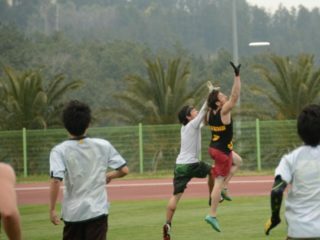 Seattle Sockeye captain and workout leader, Tyler Kinley, shares his training philosophy and keys to success when getting fit for competitive Ultimate.